Well-behaved pets are welcome at the owners risk. 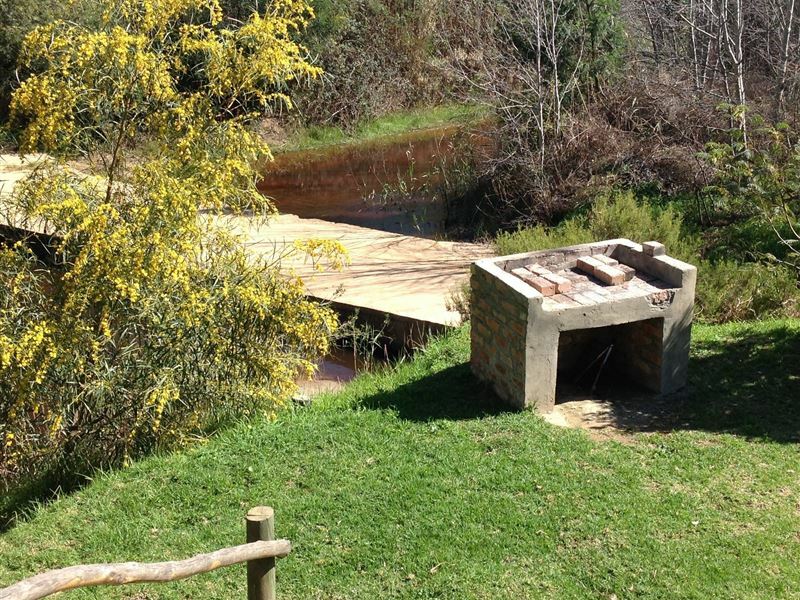 Swaynekloof Farm is a lifestyle farm set in a river valley in the Overberg, 4.5 km north of Botrivier Town. Botrivier town is 30 minutes from Somerset West along the N2 highway or a little over an hour&apos;s drive from Cape Town CBD. 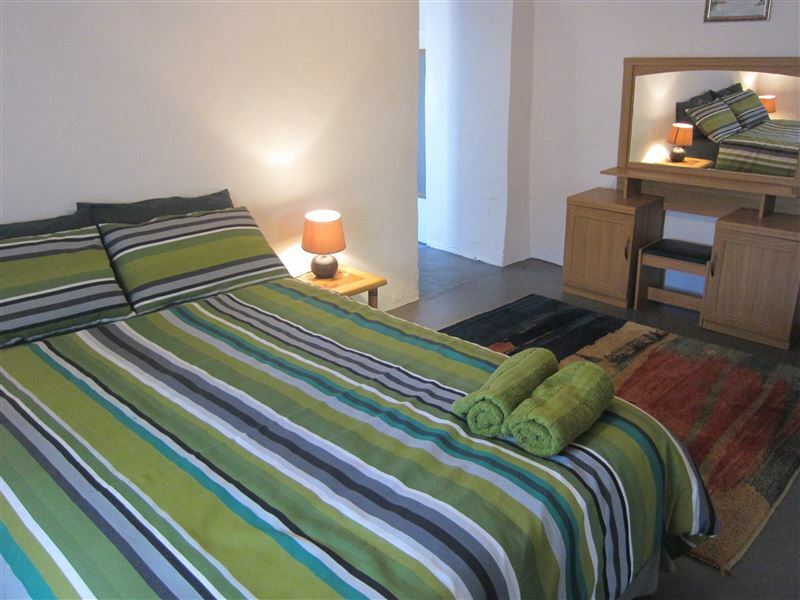 Swaynehuis, the main farmhouse, has been renovated and offers 4 bedrooms, sleeping 12 guests and 3 sleeper couches. 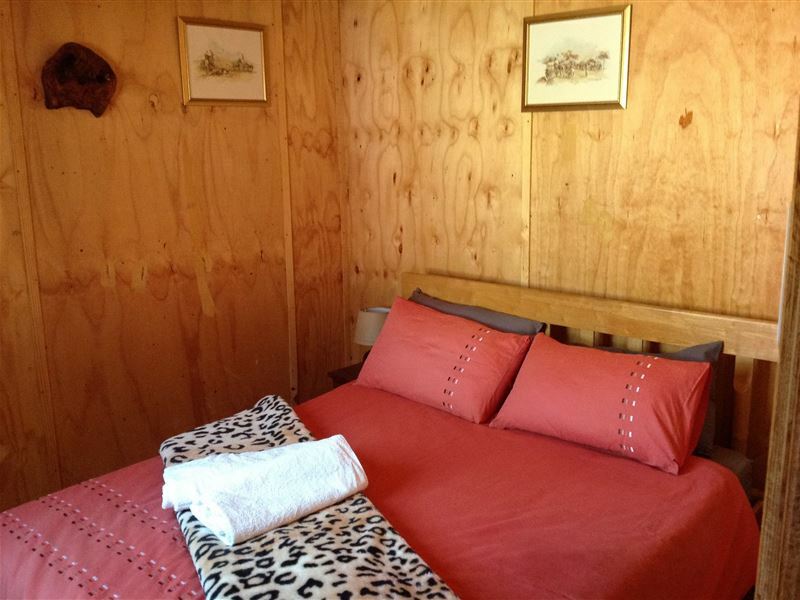 The farm is not suitable for bachelor/bachelorette parties or any parties with loud music or noisy quad-bikes etc. We are surrounded by expensive animals which are highly sensitive to being disturbed. 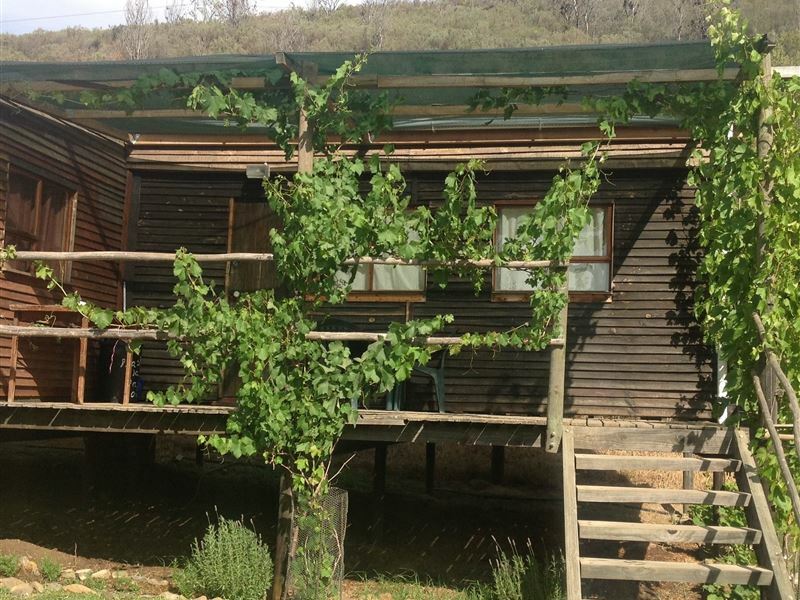 Best for a relaxing break away from city life.In addition to the large house, we have four well-maintained and clean self-catering guest cottages which overlook the beautiful Botrivier Valley and Bot River. Plentiful birds and small mammals abound. You can have a truly relaxing break, just sitting by the river and enjoying your picnic lunch or if you feel like doing something, we are just 30 minutes drive from whale watching in Hermanus, playing on the beach at Kleinmond, enjoying a relaxing warm swim at the Spa in Caledon, picking apples in Villiersdorp or 15 minutes to Houw Hoek and Grabouw, where you can enjoy hiking or biking in the Overberg. Game viewing - our farm has not been farmed on for almost a decade to allow the natural renosterveld vegetation and small animals to return. We have built an 11 km game fence around a large portion of the farm and already have eland, springbok, ostriches, zebra and a few zen-like Nguni within the enclosure. We allow our visitors to either drive around the park slowly in their vehicles or walk among the animals, taking responsibility for their own safety. Dogs must be on leashes for their own safety. A bonus - the owner enjoys taking interested parties on a tour to discuss the wonderful history of the &apos;Schuldpad&apos; at the bottom of the farm. Our small dams are stocked with large mouth bass and the river has small mouth bass. Fishing in our dams is on a &apos;catch and release&apos; basis, please. No licence required but bring your own gear and worms.In addition, our neighbours, Cornelskop, have a great collection of animals, lions, cheetahs, hyena etc. which you can view on an appointment basis only - no wandering! 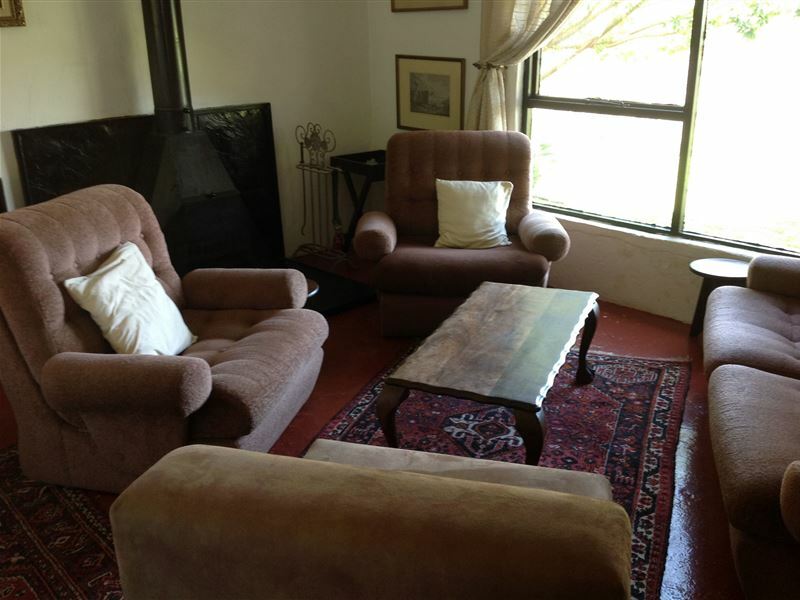 "An away from the maddening crowds get away"
"We loved our time at Swaynekloof in the Top Cottage. All your senses were telling us that we were in country/bush. Our windows looked out over green hills and trees which swarmed with birds. We heard Lions roaring at night from the farm next door.. Peacocks strolled by and a zebra came past our cottage much to my dogs delight. The air was clean and had the faint smell of the lavender bushes around our cottage.We did two 6km hikes in the fenced off game reserve section of the farm, where we saw zebra and springbok. The Erlans stayed elusive and we see that as a sign that we have to go back. We did however find the old toll gate build by Van Der Stel, for travelers from CT to Franschoek, on our second walk." "So quiet and peaceful. The boys loved rowing on the dam and playing in the river." "A great stay with everything that is needed for some time away in the mountains." "We had a lovely weekend with our dogs in the Riverside Cabin. 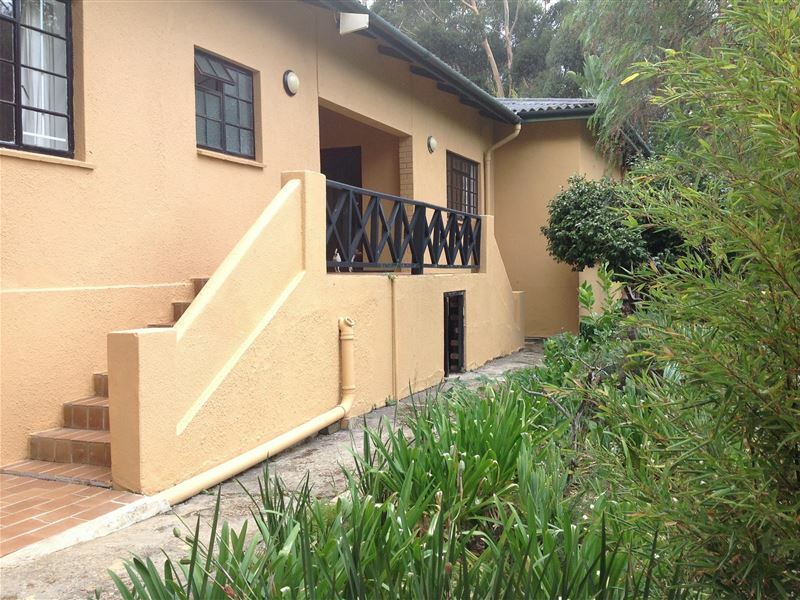 It was really comfy and spacious with a lovely deck and grassy braai area. Some people would find it too rustic, but it was perfect for our little family. Also listening to the lion&apos;s roars from the neighbouring farm was cool." "Ons het &apos;n familiebyeenkoms gehad en die plek was so geskik daarvoor. 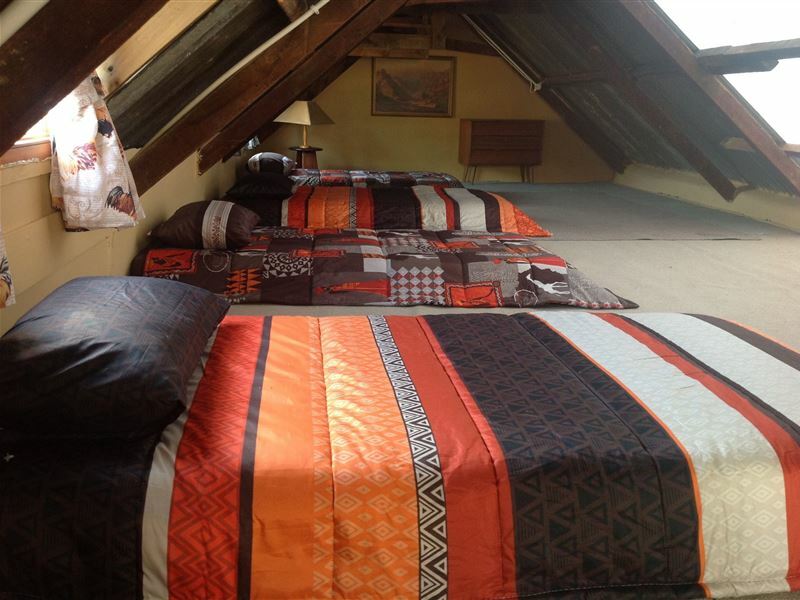 Ons kon heerlik kuier in die hoofhuis terwyl elke gesin ook hul aparte huisies gehad het om in te slaap. Die stilte en rustigheid van die plaas was ook salwing vir ons siele." "We fell in love with Heritage Cottage right away, and the friendly reception of staff and owners was a lovely surprise. We have stayed in many places over the years, and that is what sets the tone and "makes the stay", so to speak. Facilities were more than adequate, every need was catered for, and the cottage has that touch of character that we look for. We suggest that the owners, Colleen and Peter, make the walk in the reserve known sooner. And if ever a longer, circular walk along the hills can be set up crossing adjoining farms, it would be a wonderful selling point, especially for people who want easy gradients, but good exercise in fresh country air. We would definitely come back, but this time with more "kiepiekos" for the chickens that became our patio/stoep companions." "Had an awesome breakaway weekend." "What a fantastic farm to spend the weekend on! The Heritage Cottage, one of the older buildings on the farm brought such joy with all the essentials. My favourite was the fireplace in the kitchen and the lovely walks into the game reserve. Thanks a ton Peter and Colleen!" "Swaynekloof farm is an amazing place just to break away from the busy city life. I enjoyed my stay at the farm with my family. 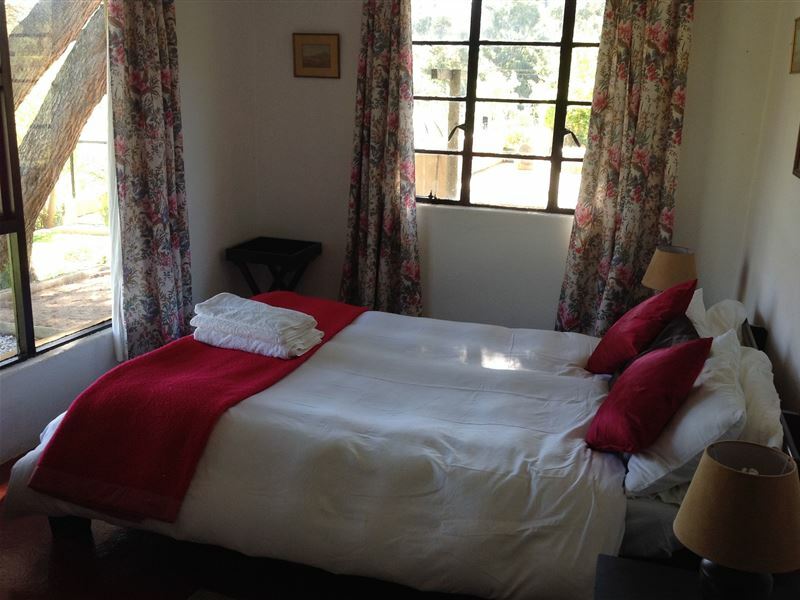 The cottages is well equipped and well maintained. The owners are friendly and very professional." "We spent a lovely, relaxing weekend at Riverside cottage. The accommodation was comfortable and surroundings stunning. We felt welcome and it was a treat to be able to have our pet with us for the weekend getaway. 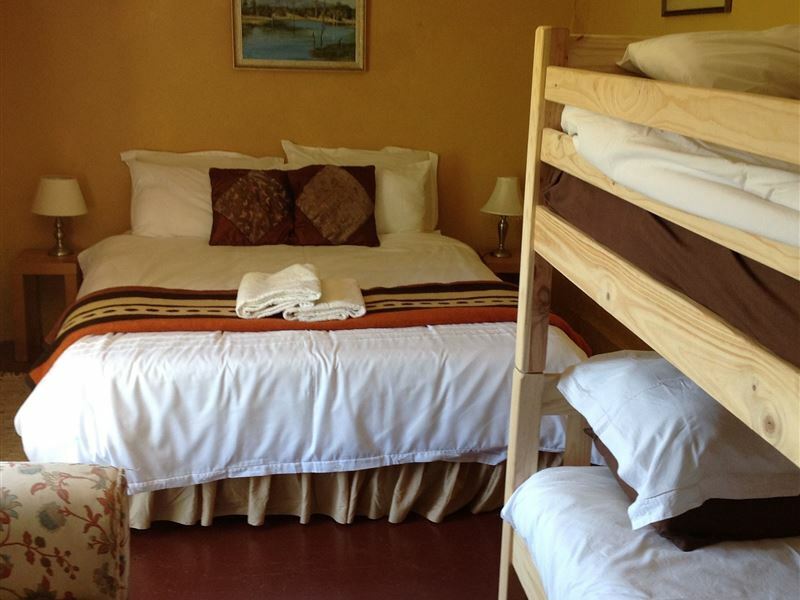 Highly recommended for family and pet-friendly accommodation."